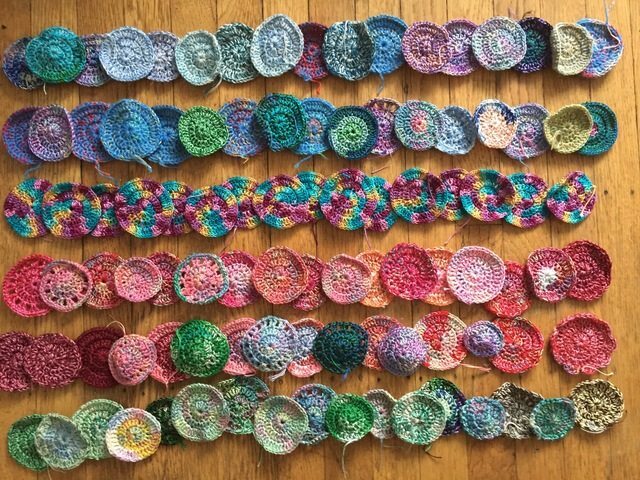 It was over one year ago that I launched the Mandalas for Marinke project to honor the work and life of Marinke Slump from A Creative Being and to raise awareness about depression and mental health issues. As of yesterday, all of the individual submissions have been posted. 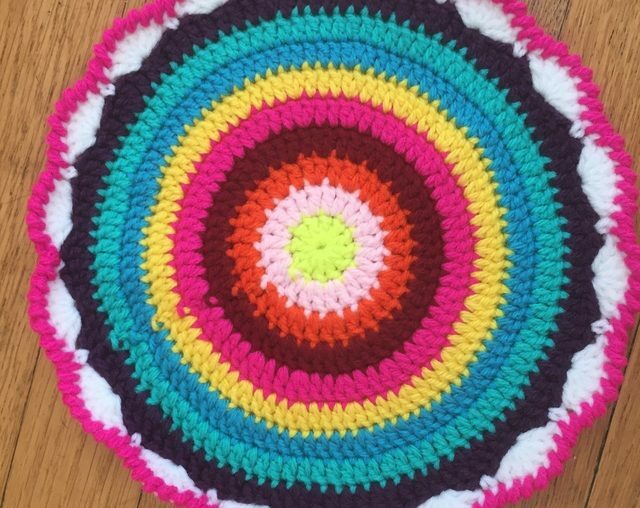 This contribution to Mandalas for Marinke comes from Carol who is, “someone who knows how hard it is to get through the dark days”. 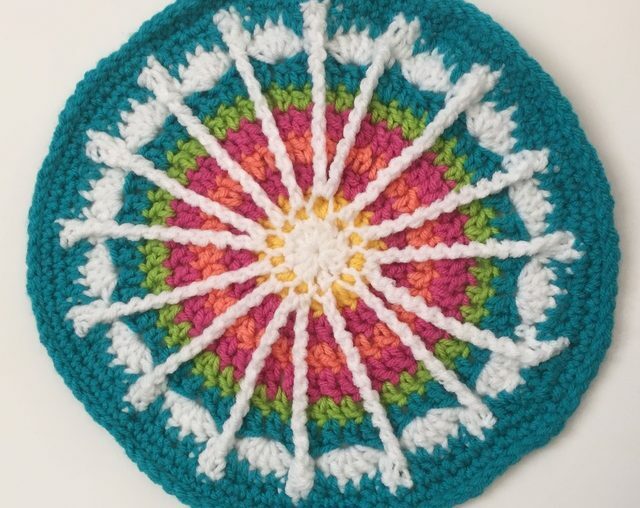 This contribution to the Mandalas for Marinke remembrance project comes from Christa of TheCurioCraftsRoom. 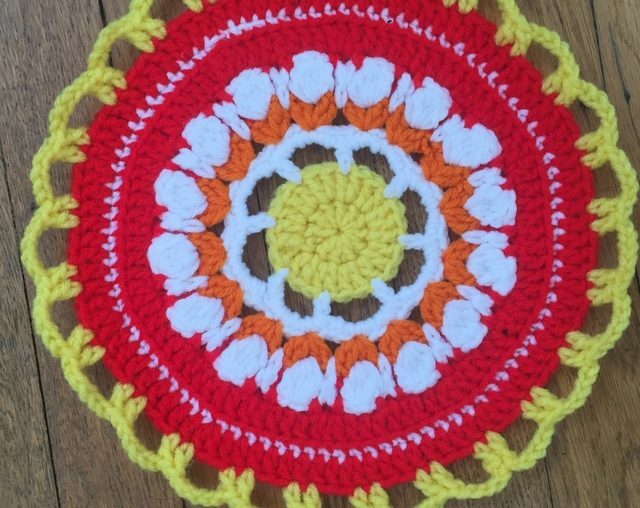 This contribution to the Mandalas for Marinke remembrance project comes from Patrizia in Italy. 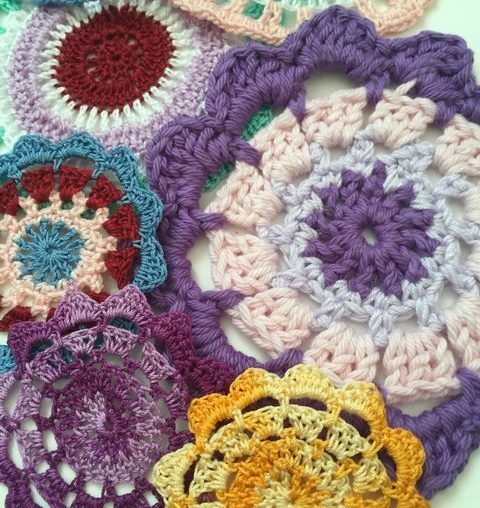 This contribution to Mandalas for Marinke comes from Andrea of CrochetTherapy. 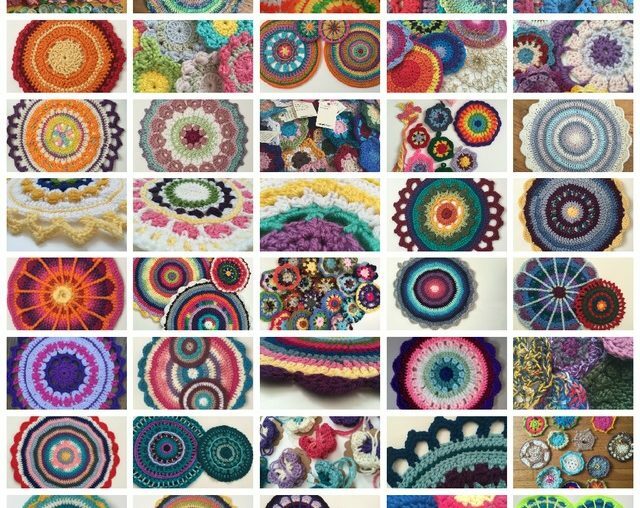 She has some great posts about the benefits of crochet, including a post on serenity in which she writes about crochet for peace, reducing anxiety and as a form of meditation.